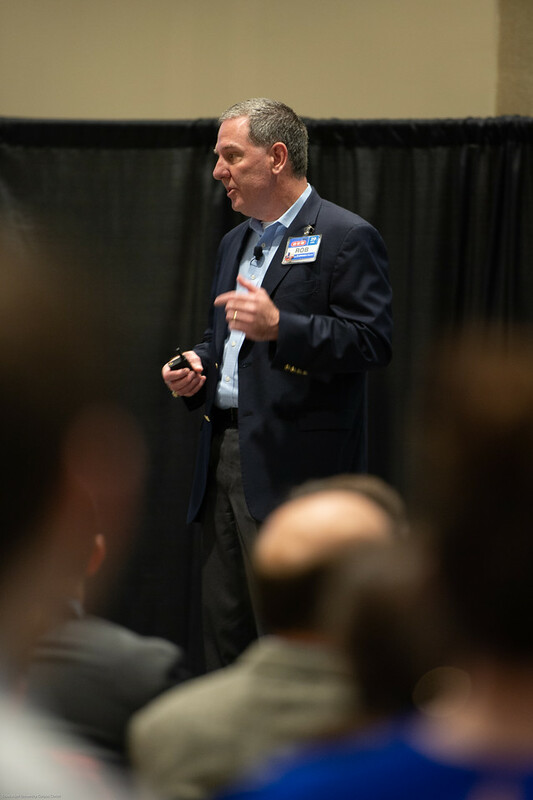 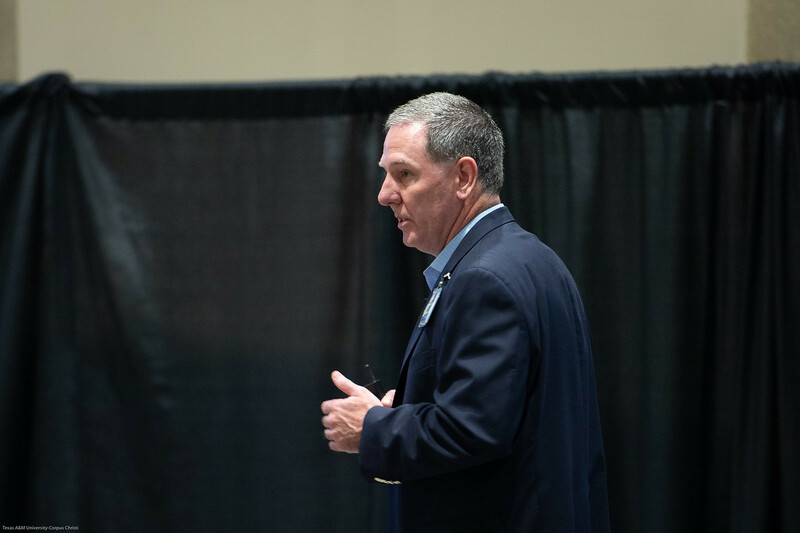 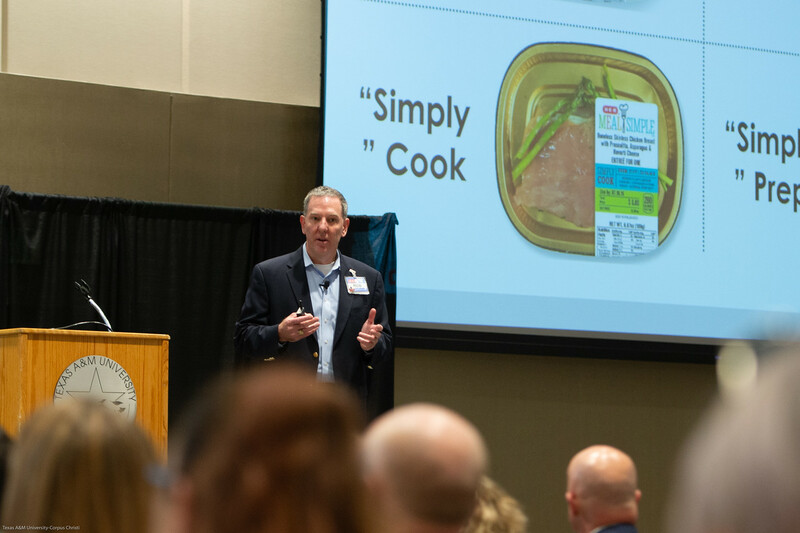 “I love it when people talk about ‘My H-E-B.’ There is some strong ownership in those words, and we take it very seriously and step up our work to make sure we meet and exceed their expectations,” said Rob Hall, H-E-B Group Vice President/General Manager of the Gulf Coast Region. 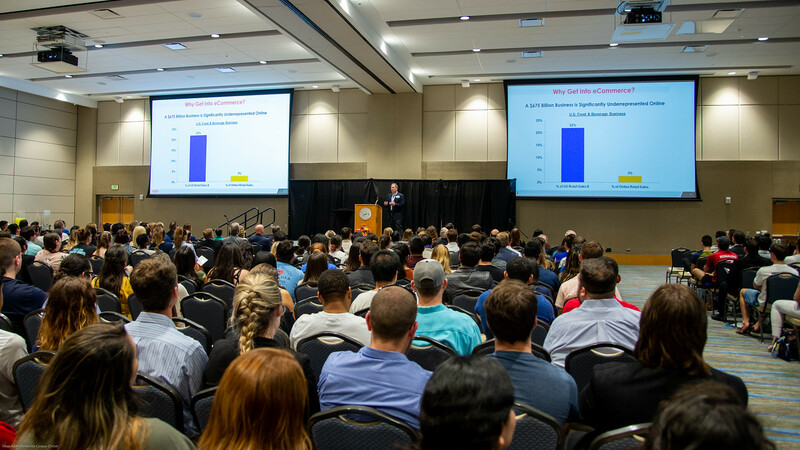 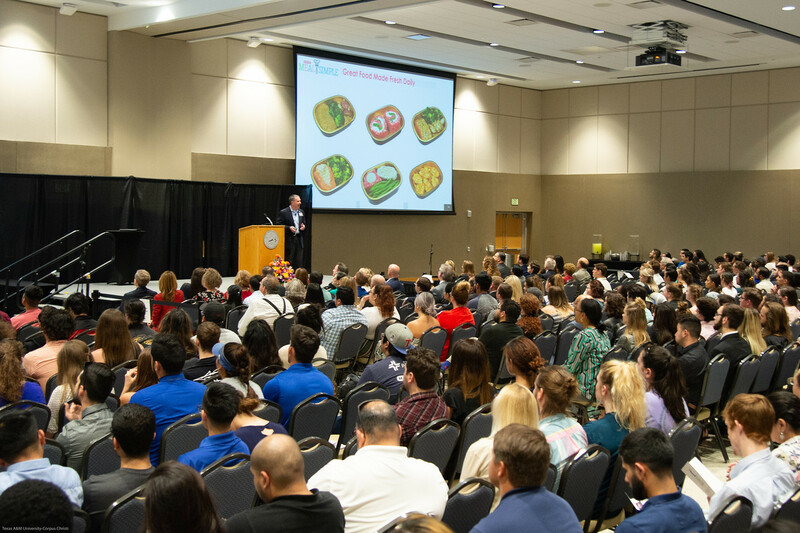 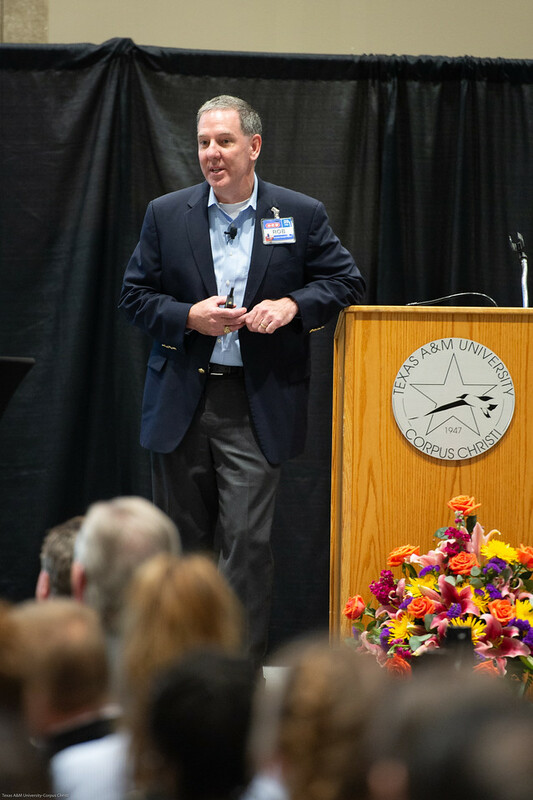 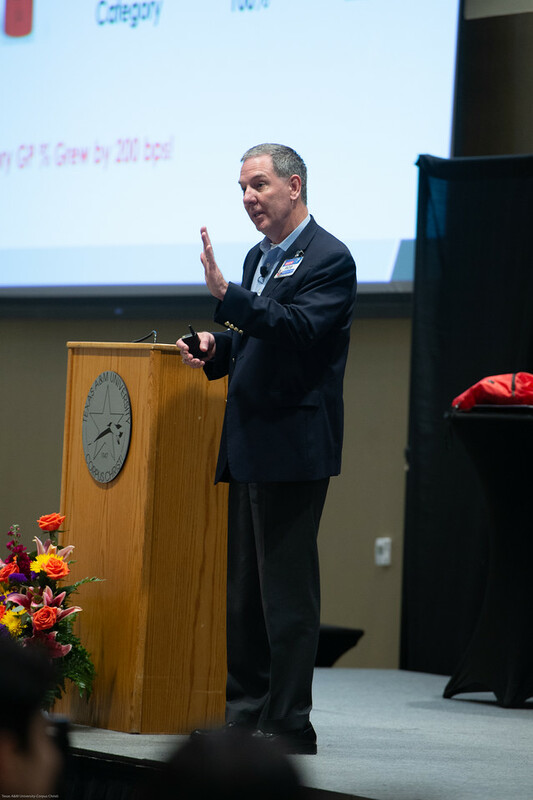 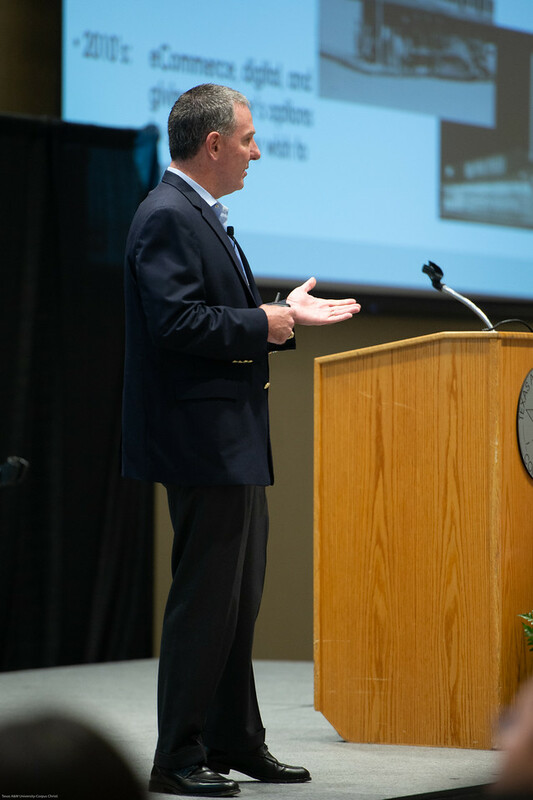 The College of Business at Texas A&M University-Corpus Christi welcomed Hall Wednesday, April 10 during the 40th Annual G. Russell Kirkland Distinguished Visiting Executive Lecture Speaker Series. 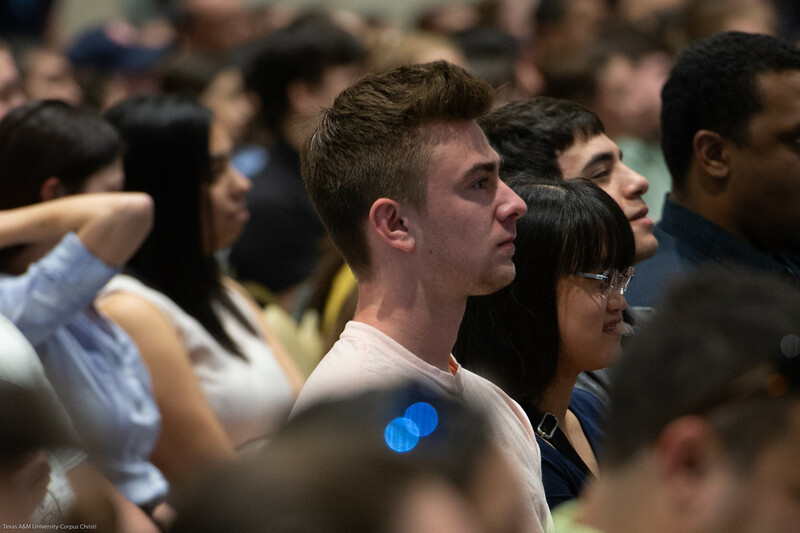 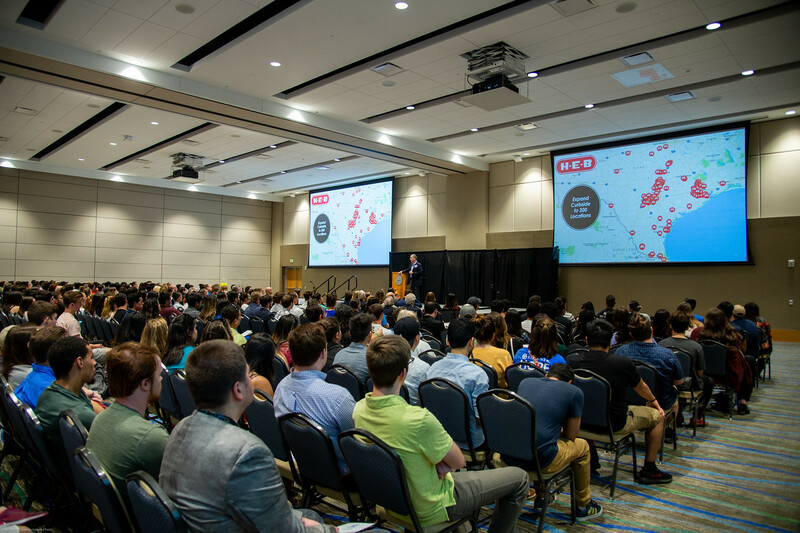 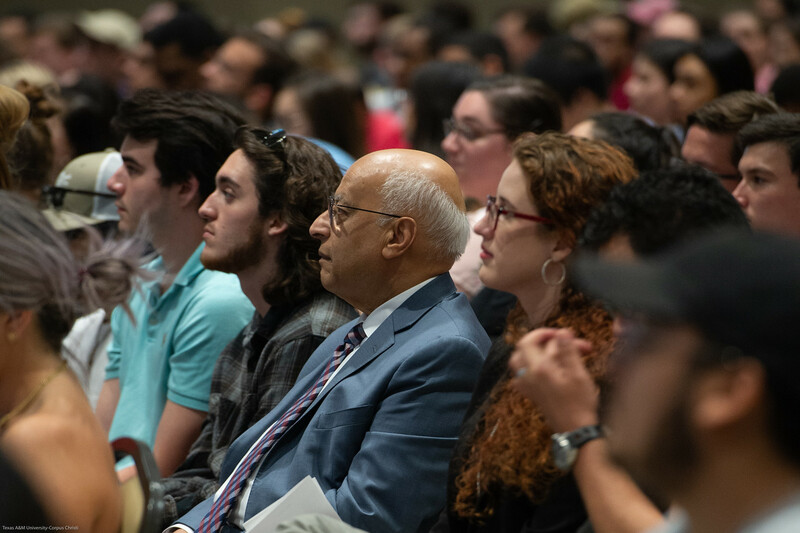 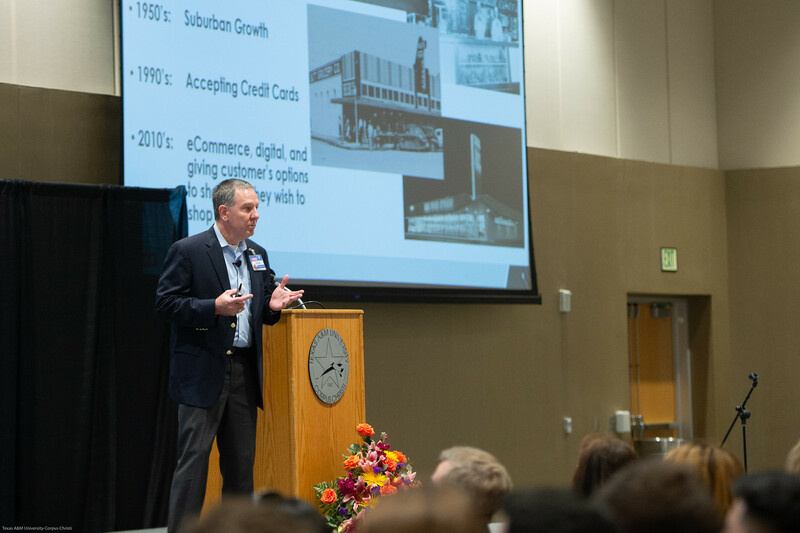 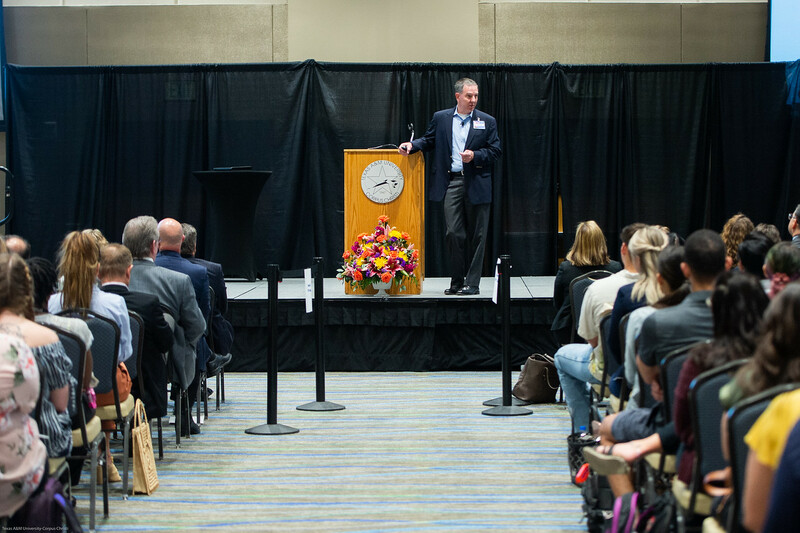 The speaker series, hosted by the nationally ranked College of Business, brings professionals from around the nation to engage with business students and the public. 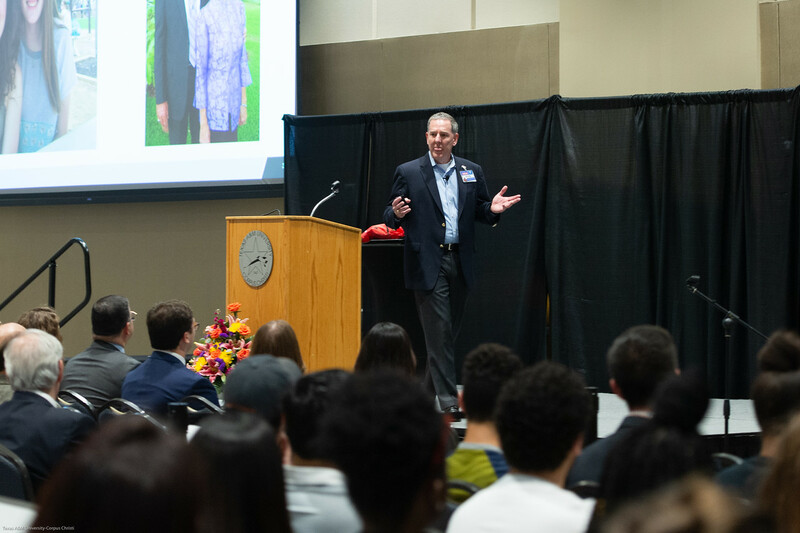 Hall started his career with H-E-B nearly 30 years ago after a friend encouraged him to interview with the company — a company that had a strong culture, innovative thinking, and the energy and spirit to encourage its employees to continue making a difference. 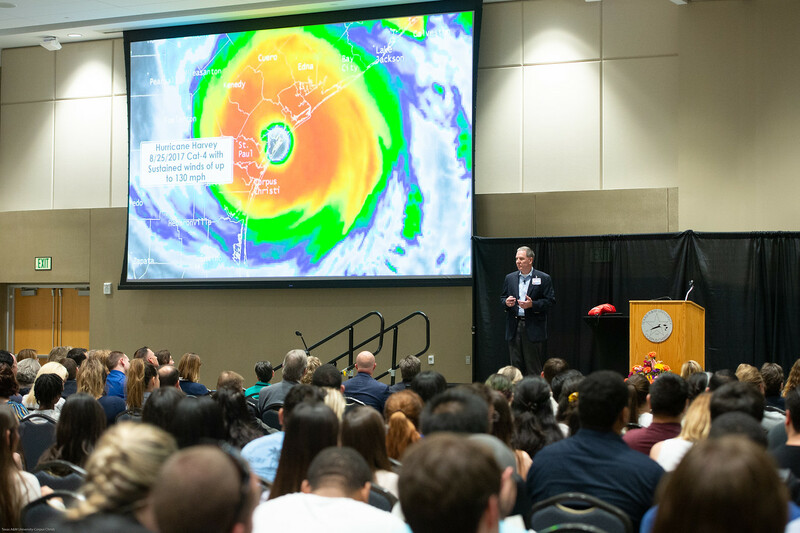 Hall, who was born and raised in South Texas, said he was rewarded with a job that he loved, and it allowed him to stay close to home. 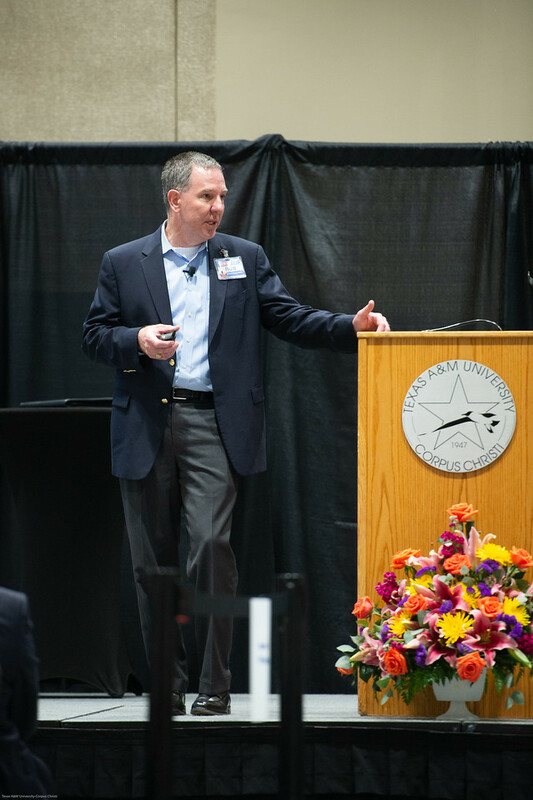 He encouraged an audience of nearly 500 to enjoy what they do and live their life to the fullest. 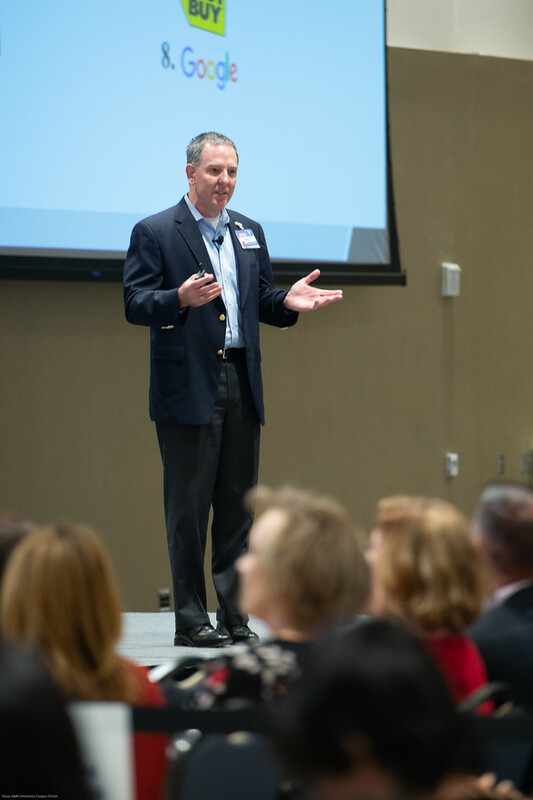 H-E-B understands community needs and demonstrates a deep commitment through public service and charitable giving efforts. 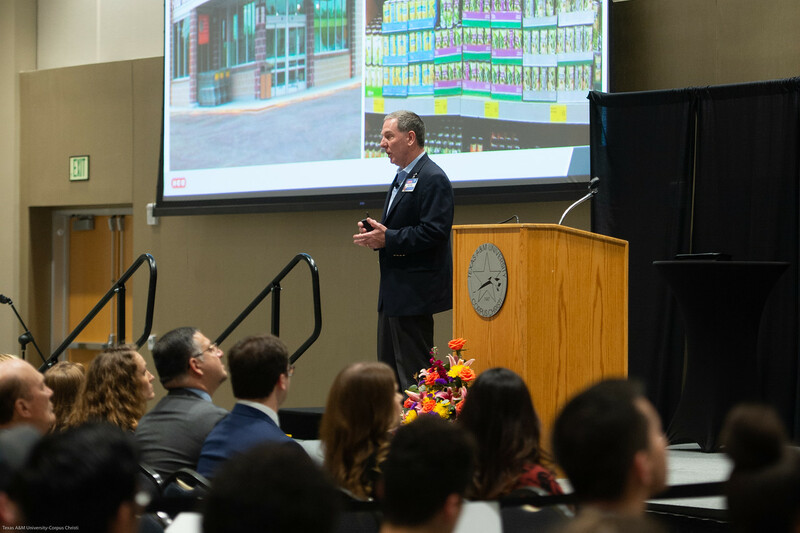 Each year, H-E-B donates five percent of pre-tax annual earnings to charitable organizations focused on hunger relief, education, health, environmental sustainability and diversity initiatives. 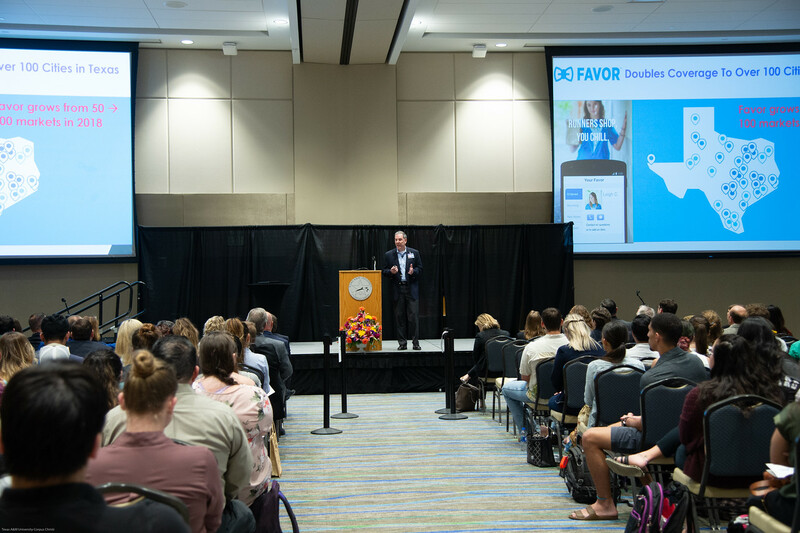 The organization also contributes more than $10 million annually to education-related programs, which includes an endowed scholarship at the Island University. 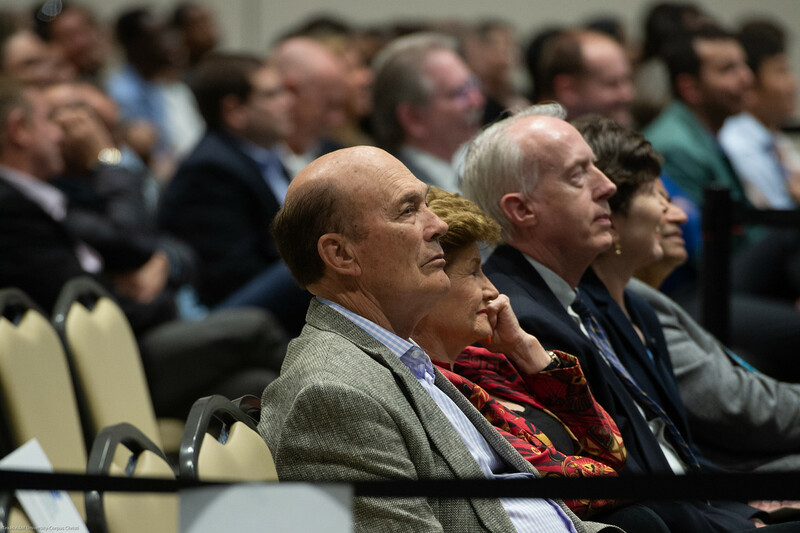 Hall, whose parents, wife and in-laws were either teachers or education administrators, realized the importance and impact education made on his life. 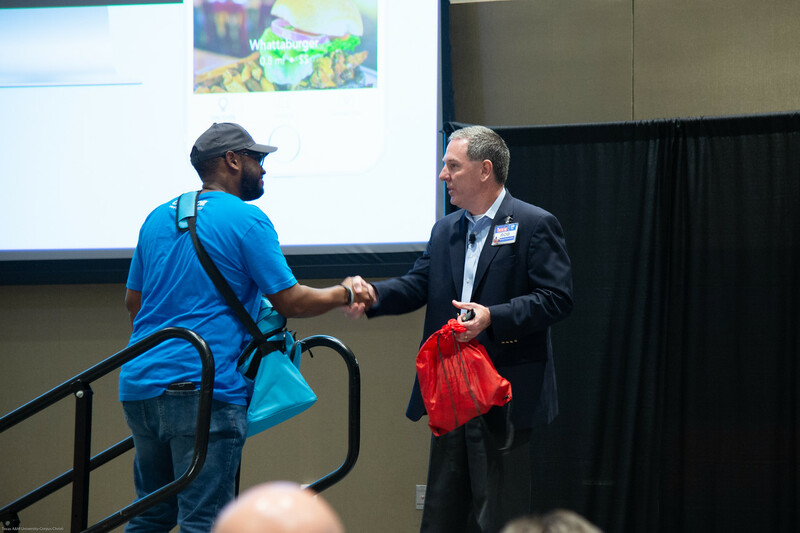 Hall concluded his speech with a goodie bag for all attendees filled with items to get college students through the week including coffee, beef jerky, snack bars, granola, and coupons to help stock up on the essentials. 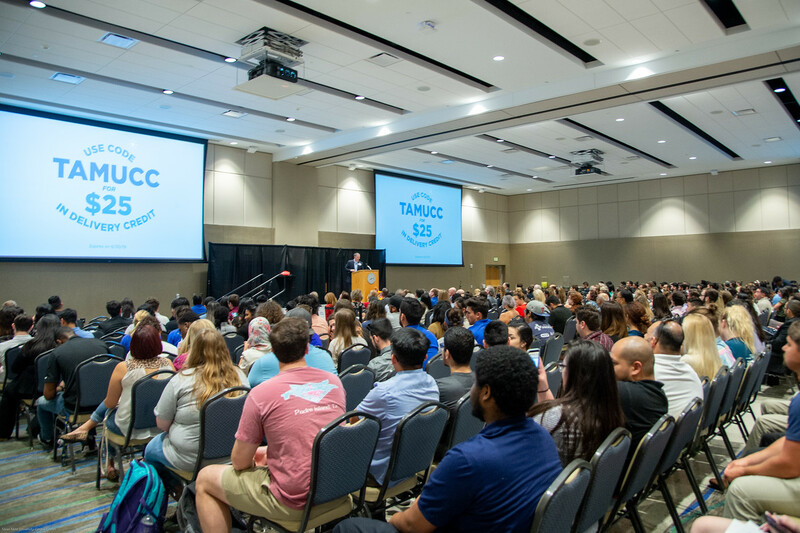 The speaker series was created by friends of the late Mr. G. Russell Kirkland and Texas A&M University-Corpus Christi to honor his distinguished service to the development of the University, the City of Corpus Christi, and South Texas. 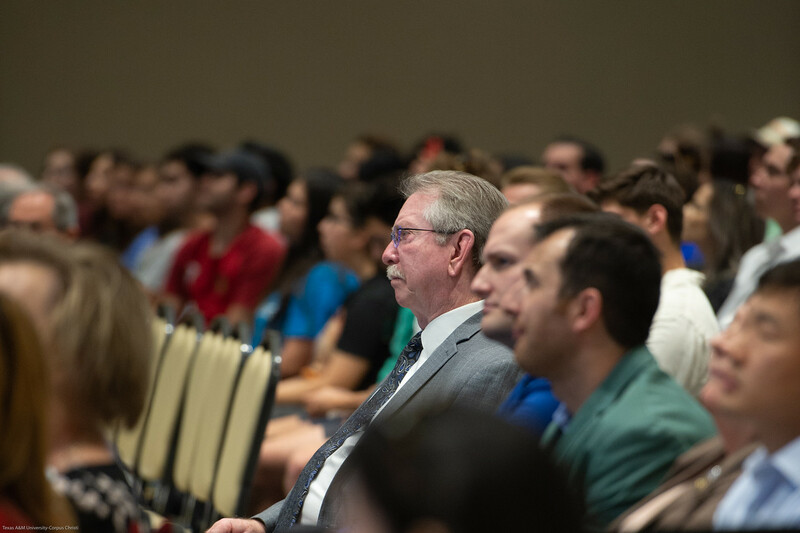 Mr. Kirkland was the Vice President of Development at Texas A&I at Corpus Christi and Corpus Christi State University from 1975 to 1978. 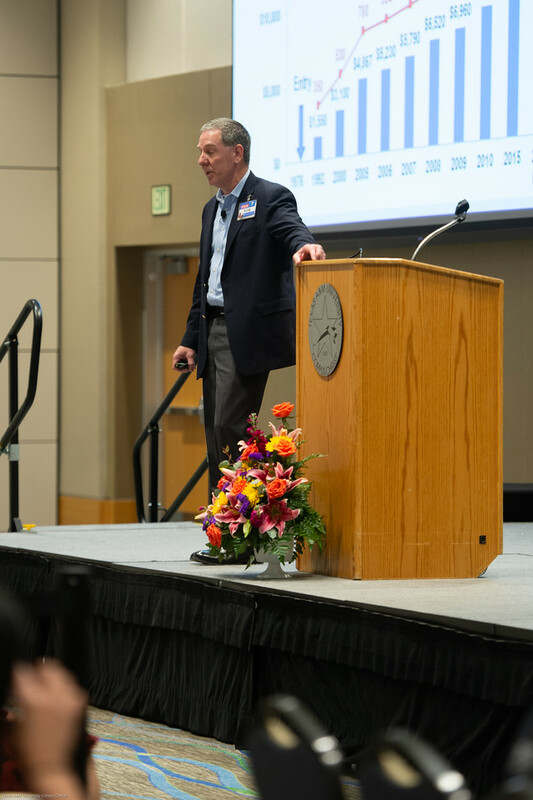 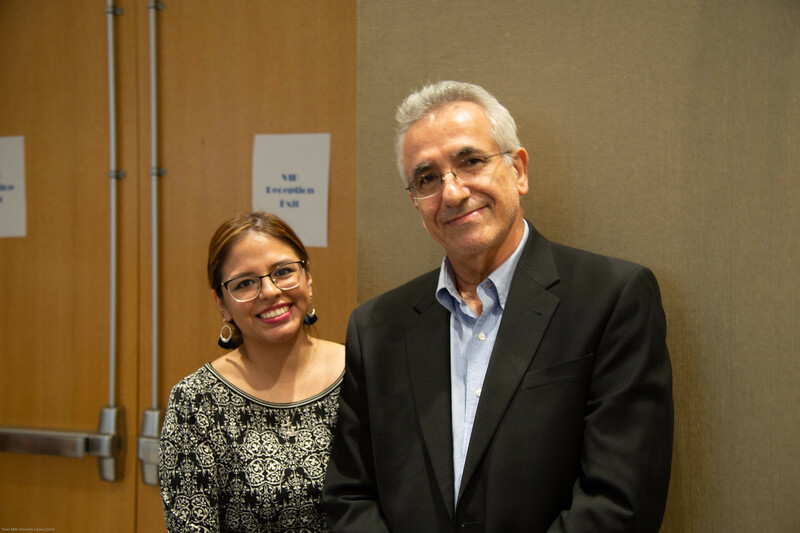 To learn more about the Kirkland Distinguished Visiting Executive Lecture Speaker Series, please visit the College of Business Kirkland website. 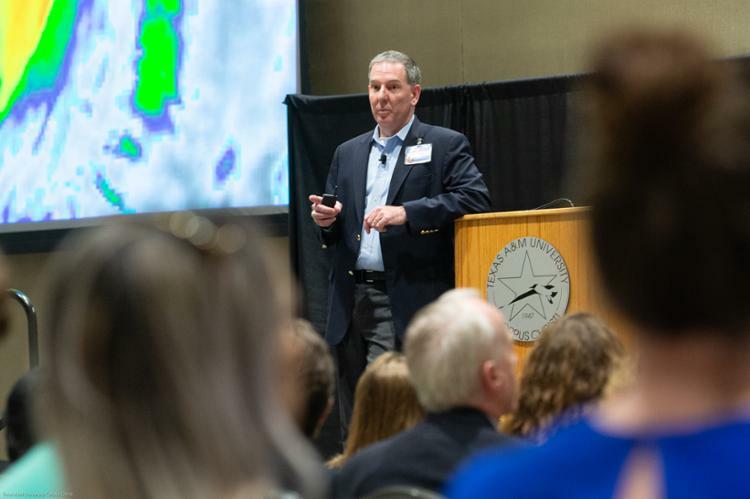 Like most Texans, there are several H-E-B products that Rob Hall cannot live without. 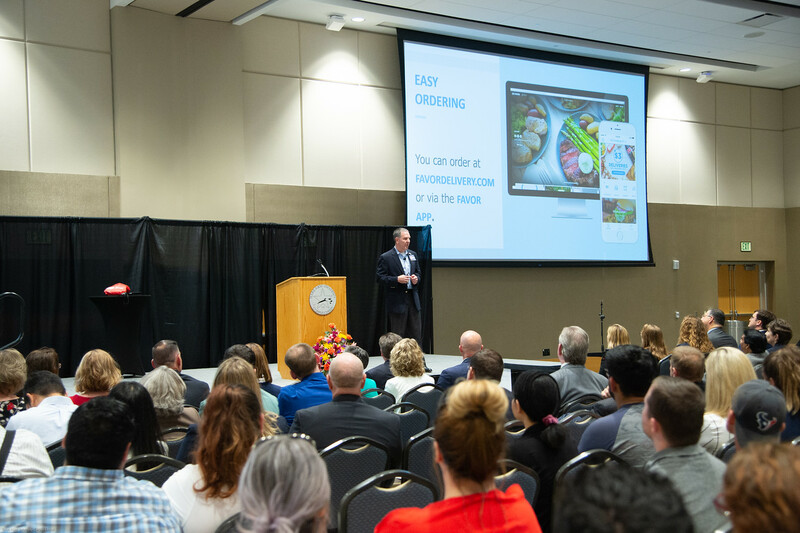 They are: H-E-B Mootopia milk in the morning, H-E-B fajitas for lunch/dinner, and H-E-B creamy creations and swoon ice cream for dessert.